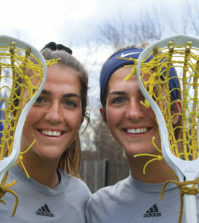 The Quinnipiac women’s lacrosse team and Marist took the term ‘back and forth’ to a different level Sunday at QU Lacrosse Field. In a game that saw five lead changes and was tied 11 separate times, it seemed destined for things to be settled in overtime. Marist scored three times in the two overtime periods, including two goals in the final 1:35 of play from Tierney Larson, and the Red Foxes defeated Quinnipiac 15-13 to remain a perfect 4-0 in the Metro Atlantic Athletic Conference. Quinnipiac tied the game at 12 with 2:32 left in regulation when Kathleen DeVito scored a free-position goal. The Bobcats had possession in Marist territory for the last 1:30 of the game, but couldn’t score to win. 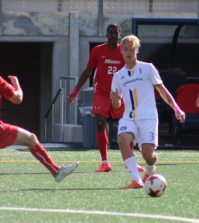 Marist went on to take things in the extra frames, as the Bobcats could only score once in the two overtime periods. Kara McHugh led Marist with four goals and two assists, while Allison Gionta had four goals of her own. Marist won the battle of draw controls 25-7, while both teams committed 18 turnovers. Kyra Ochwat led the Bobcats with three goals and three assists, while Kathleen DeVito and Michaela Tinsley each had two goals and an assist. Quinnipiac honored its eight seniors prior to their final home game. 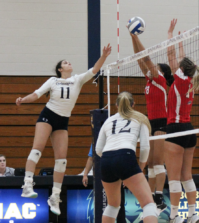 With the loss Quinnipiac falls to 2-10 on the season, and 2-3 in MAAC play. Its next game is Wednesday at Fairfield, with game time set for 3 p.m.